Have you ever wanted to play the funny and punny game - then this is the game for you! 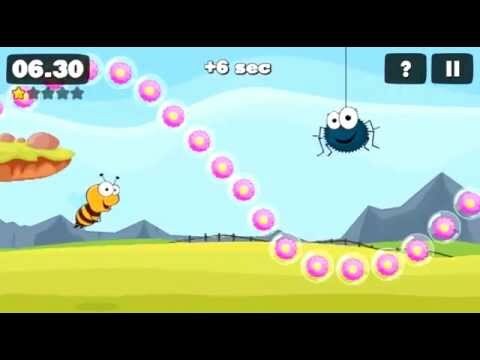 Join the adventure of our little bee, where you have a simple job ... to collect as many beautiful flowers with avoiding of the various obstacles (spiders, honey hives, islands, balloons, bricks, ladders, ...) that are on bees way. But that the job will not be too easy, we've added time limit, so you will have to be careful also with collecting the clocks and speedups, which will help you to reach the finish line. It is not so difficult, so it is also suitable for children! We believe we've created the game for you to enjoy (specially for kids) ... and your mission is only to help the little bee! Will you? If you have any question, comment or advice, feel free to contact us ... we’d love to hear from you!